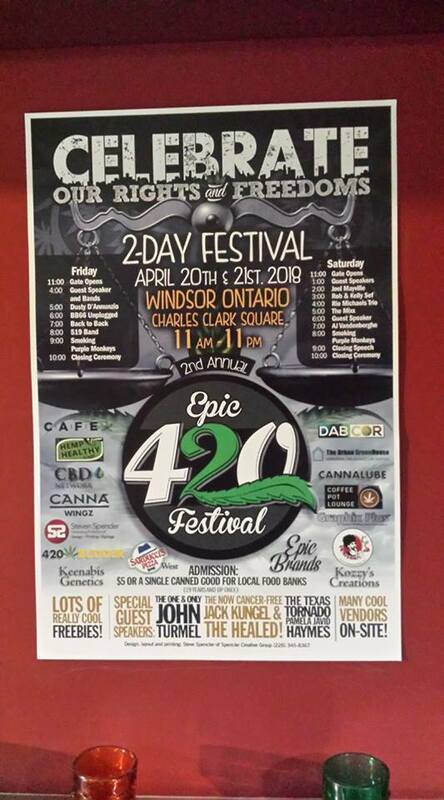 Great news for 420 Windsor Ontario 2018. The second annual 420 event will be held over 2 days. A music permit has been issued and a lot of vendors have already booked a table. Great vendors will include:Canna Wingzs, Dab Cor, CDB Network, Petes Pipes, Urban Hydroponics, Keenabis Genetics, Spencler Creative solutions, and Graphics plus, Coffee Pot Lounge, and lots more sponsors to come. Would you like to be a part of the Epic Festival? Speakers and vendors are coming from all over Canada and the USA. Want to learn more about how to grow when the Recreational Law is finalised. Should you grow in dirt or hydroponic? One of the Vendors is Urban Hydroponics, a local company with a wealth of knowledge and will be there Friday only.